The Pumpout-V115 has the versatility that professional carpet cleaners and restorers are looking for. 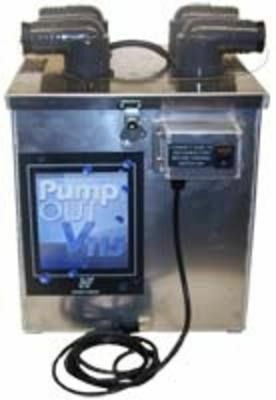 This portable pump out will go where you like to pre-filter and pump the waste water to the area of your choice. The 115 volt waste pump handles all your choice. The 115 volt waste pump handles all you can throw at it with high volume output and long life durability. Set up for dual wand pumping and filtering, the Pumpout-V115 will work for unlimited hours while the technician never has to make a trip out to the van to dump waste or empty filters.